Jay Bolus is one of the most authoritative speakers on the human and environmental impacts of products and materials. Using his extensive knowledge of Cradle to Cradle® design applied to products and materials, Jay has the unique insight required to understand how to work with a company’s global supply chain to inventory, assess and optimize products. He was one of the first employees at MBDC, joining shortly after its founding in 1995. Jay has presented to international audiences from 50 to 1,000 participants and has trained individuals in companies worldwide in the science of material assessment and the Cradle to Cradle CertifiedTM products program. 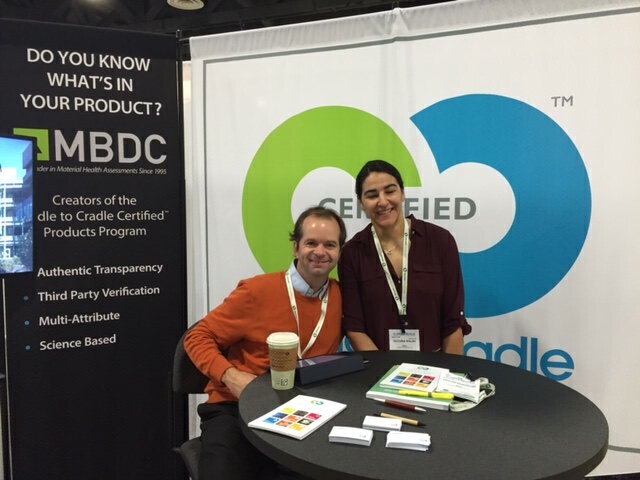 As one of the original authors of the Cradle to Cradle CertifiedTM products program, Jay is uniquely qualified to help organizations understand the business value of really knowing what’s in your product and how to optimize it. Working closely with your team, Jay customizes his speaking and training engagements to the specific needs of the client. Jay has worked with companies in batteries and solar panels to name just a few. He has the ability to integrate his know how to fit the client’s area of business and make a technical subject very understandable, even to a lay audience. 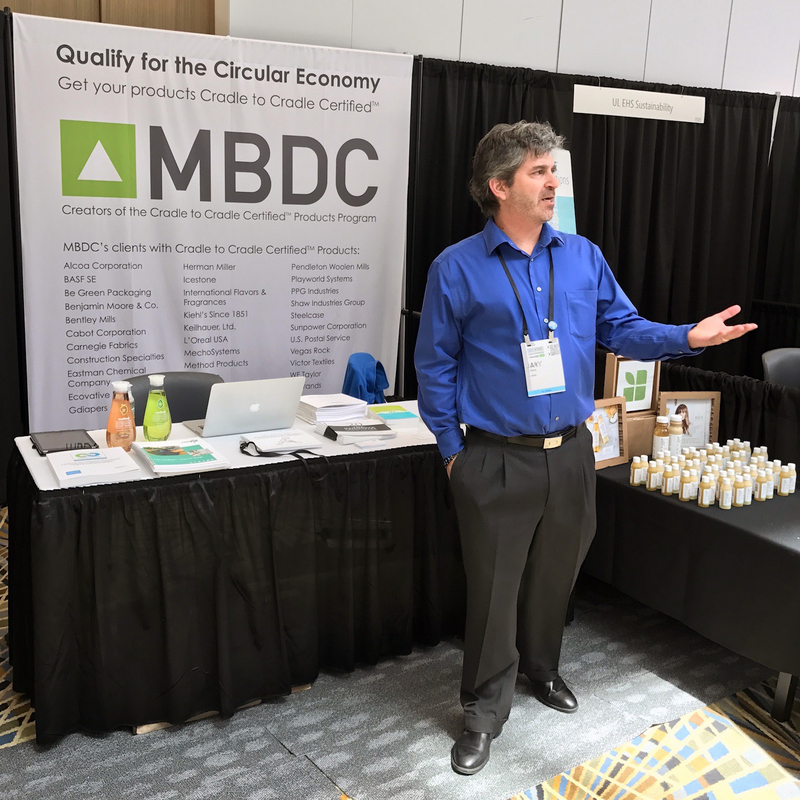 As President of Consulting Services for MBDC, his passion is working with product development teams to add business value through a better understanding of what products are made from and how to optimize products through continuous improvement using the Cradle to Cradle® design principles. Jay has directly influenced the design of hundreds of products through his presentations and participation in product design in companies. Participants leave his events with specific actions to take back in their organizations, many diverse fields including automotive, textiles, furniture, building materials. Howie Fendley is Director of Projects and Senior Chemist at MBDC. He is highly skilled at presenting the theory and practice of how to design and redesign products for Sustainability and the Circular Economy using Cradle to Cradle® design principles. Using his experience working at MBDC since 2001 with dozens of different companies in diverse fields, Howie has the practical know how from working inside companies to articulate and demonstrate the business, environmental and social value creation that is possible. He has presented to audiences from 50 to 500 and has worked with small, medium and large companies to understand what products are made from down to the parts per million at a chemical level. Howie is recognized as an accomplished speaker with a high degree of practical knowledge and experience to draw on that leaves audiences wanting to learn more. Howie has worked worldwide with companies in Asia, Europe and the Americas. Working with your team, Howie customizes his speaking engagements to the particular needs of the client. Howie’s real world experience working on dozens of products in sectors from automotive to furniture, textiles, fast moving consumer goods and packaging makes him an ideal choice as a speaker in any industry. His down to earth storytelling using examples of positive achievements with new business and cost savings will leave your audience believing that there is true business, environmental and social value to be gained intentionally, by design.